19 m2 € 475 p.m.
27 m2 € 675 p.m. The landlord himself is present a much as possible and always there for you. You can always expect a warm welcome from the receptionist when you arrive at the office. Once per day the receptionist takes the received mail to your office. Personal service is a high priority in this office building. The entire building is furnished for the tenant to work nice and relaxed. 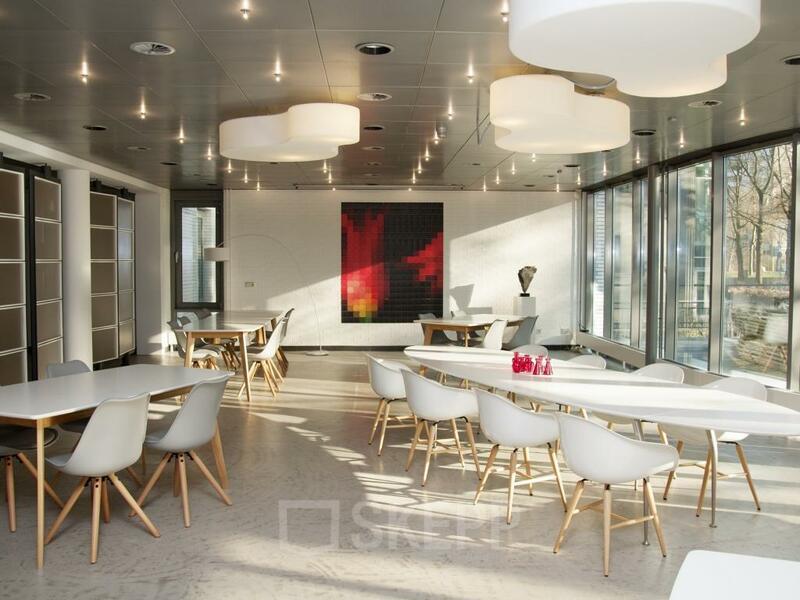 Surrounded by flora of Eindhoven, stands this beautiful and spacious business complex with a terrace. The building holds several different entrepreneurs like an accountant, designers, a real estate manager and a medical company. You can rent several different sizes of office spaces in this business complex. It is possible to rent offices from 2 up until 8 persons. Renting an office in this building always means all-in. This includes things like a personal mailbox, fast internet, tasty coffee and tea, use of the copy service and a warm welcome for your costumers by the receptionist. You will never come up short as a tenant. As soon as your enter the building you can directly look into the beautiful and light cafeteria. This is positive thing when you receive costumers at your office space. De cafeteria is a place where you can grab a delicious lunch. Besides that the building holds multiple, fully furnished, kitchens. 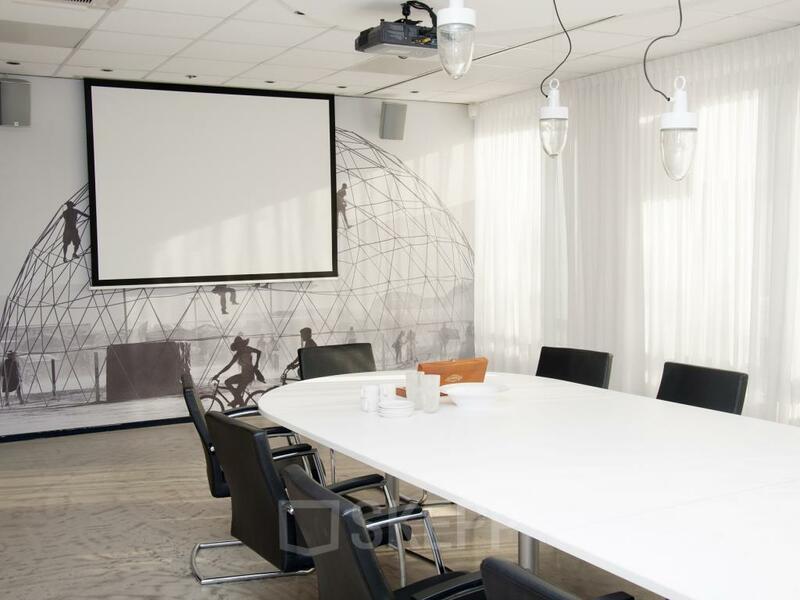 Organizing a meeting is no problem since you can use the meeting rooms. The caretaker is making sure everything in the building is in good shape. Renting an office in the building also gives you 24/7 accessibility. The location is good since it only takes you 3 minutes to drive upon the highway. The business complex is easy to reach by public transport, since it only takes the bus 10 minutes to reach Eindhoven. Once you are at the Central Station the centre of Eindhoven is within walking distance. If the sun is shining you can enjoy the terrace at the office building with a view over the park. There is always a place to park your car and an Albert Heijn XL is around the corner. The landlord is easy going in every aspect. Every entrepreneur has his own needs and wishes and the landlord likes to think along with you. One of these aspects is a contract that suits your company. If your company grows you will be given the opportunity to rent several closed offices spaces of even an entire floor. Facilities like cleaning your office space or storage are always possible. But the most important thing is that you feel like you are home. Contacting other entrepreneurs in this building is strongly encouraged. You are not being forced into anything, but you are given options. Every once in a while a meeting is organized on Fridays to drink a few and close down the week. A lunch for Christmas will not be skipped and a wine tasting is also brought to you with pleasure. Working hard will go hand in hand with laughing and pleasure. The building has a good appearance. A lot of work spots and lounge areas have been created. The building is stylish and carefully furnished with an eye for detail. The spaciousness and the big amount of daylight are bringing you a homelike atmosphere. Are you ready to take the next step? Contact us to schedule an appointment with the landlord. 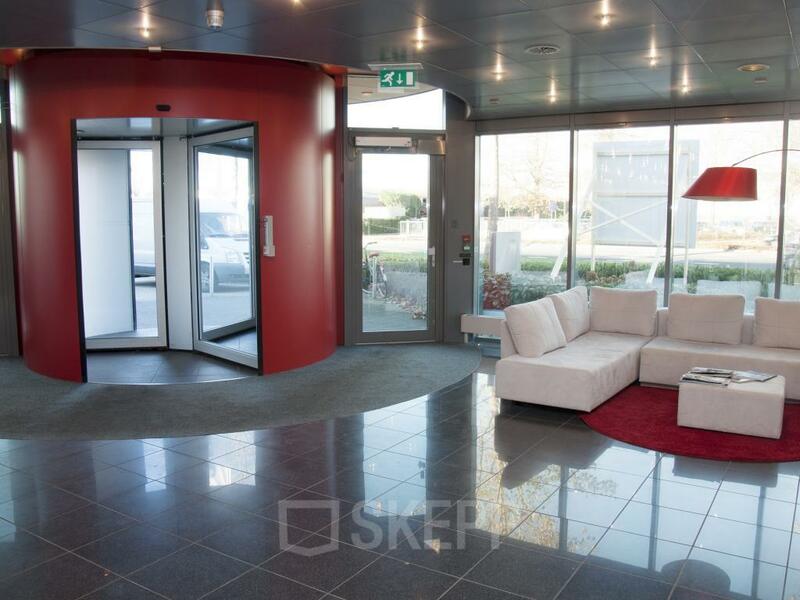 Een prettige ontvangst en goede sfeer is duidelijk aanwezig in deze mooie kantoorruimtes met vele mogelijkheden. Vanaf de snelweg ben je met een paar minuten bij dit kantoorpand. Do you want to receive more information about Beemdstraat 1? Please fill out the form and download the brochure!